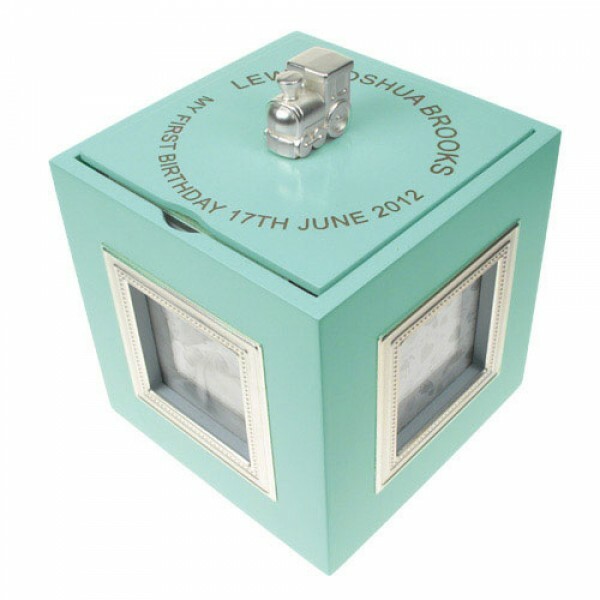 A beautiful Baby Boy First Birthday Musical Photo Frame and Keepsake Box. This high quality crafted keepsake / Jewellery box plays a beautiful tune when the box is turned clockwise on a flat surface. 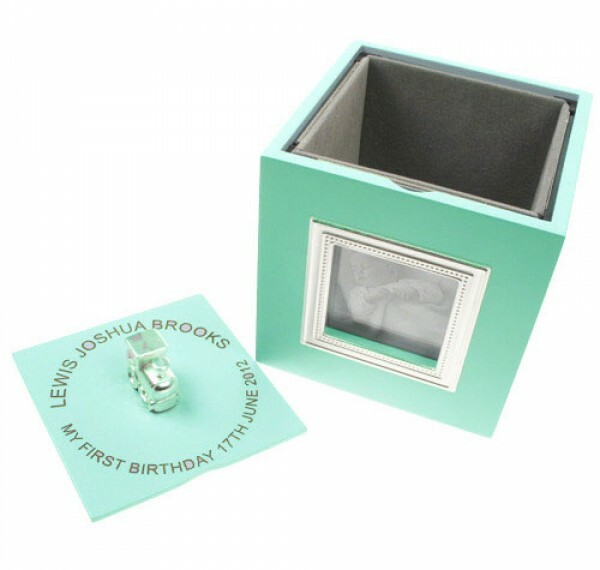 There's a sweet little Teddy that acts as the handle on the top of the lid to open with and the keepsake box also holds four 2x2 photos for you to store memories in. The musical baby keepsake is the perfect gift for a new baby or as a present for mum and can be personalised with the child's name and date of birth for the first birthday. Available 9am - 6pm daily . Weekly offers, straight to your inbox. Contact us using the email address below, we endeavour to answer all inquiries within 3 hours. ©Copyright 2015 by The Tot Spot All Rights Reserved.